More love to Nerf,because yet another blaster,this time from the Zombie Strike line,has made an appearance.Say hello to the Doominator! This thing screams attention.I mean,look at this thing,it looks exactly what a gun would look like in a dystopian world,cobbled up from machine parts.It looks like a Flipfury on some serious steroids.4 six dart turrets,Pump action firing.Whoa,looks like Nerf is going to completely kill the competition this year. Also accompanying is the Mega blaster everybody was waiting for.Enter,the Rotofury! Supersize your NERF battles and dominate the field with the highest capacity MEGA blaster ever! The MEGA RotoFury blaster gives you the option of firing one MEGA Whistler Dart at a time, or slam firing a steady stream of ten darts in a row. Hear the darts whistle as they fly through the air and hit targets up to 90 feet away. Includes 10 MEGA Whistler Darts. Available at most major retailers nationwide and HasbroToyShop.com. Wait,it isn’t over yet,cause the best is always saved for last.Proud to present before you,The Modulus. Achieve unprecedented levels of CUSTOMISATION with the Nerf N-Strike Modulus ECS-10. Giving fans both the versatility and performance they crave, the modulus ECS-10 features motorised blasting and can be configured in over 30 ways to make any Nerf MISSION or SHOT possible. A precision scope, Stock with integrated clip storage, dual-rail barrel, drop-down grip, 10-dart banana clip and 6 tactical rails enhance the blasters accuracy and efficiency. Includes 10 N-STRIKE darts. Also are available UPGRADE and MISSION packs to further customise and amp up your blaster! ECS….hmmm…..like the Stampede? 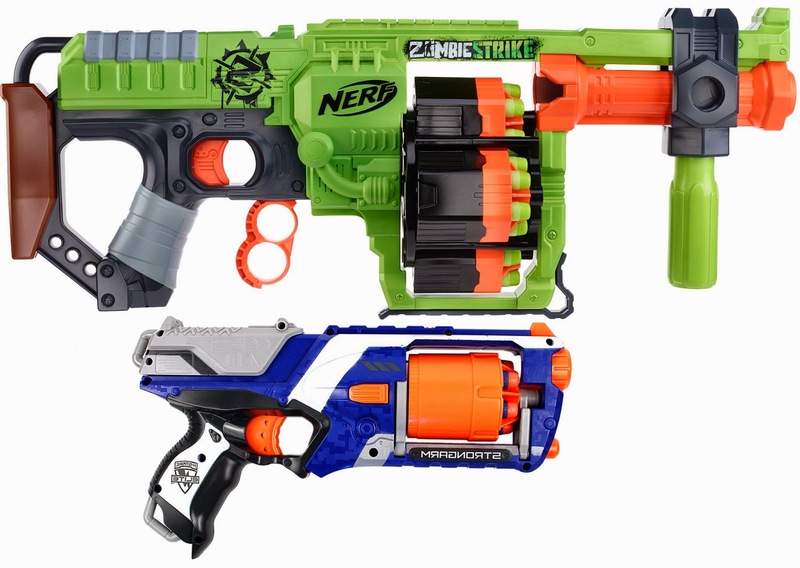 It will be nice to have a motorized direct plunger blaster in the Elite line,but the Stampede takes 6 D batteries,how will a blaster so customizable carry that heft? Let’s not forget that the Cam ECS-12 also carries that code,so are we looking at a semi-auto blaster? 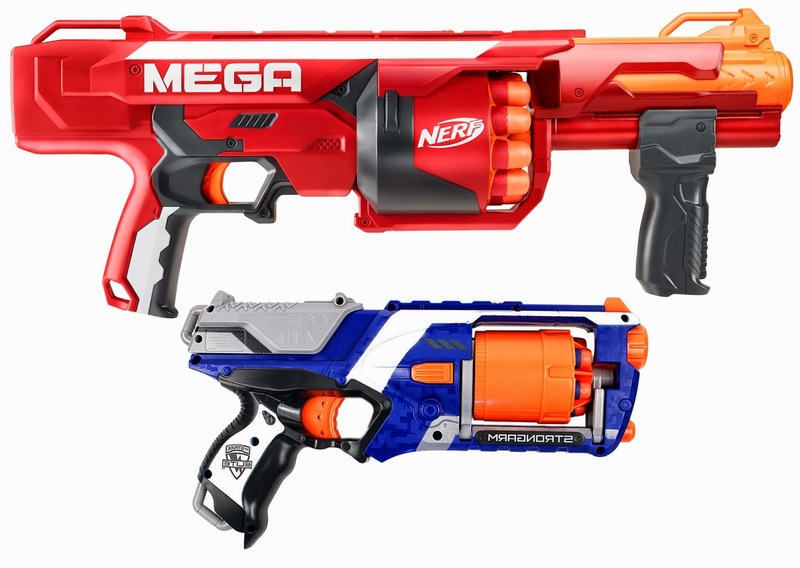 One thing’s for sure,this year,Nerf is really hitting back at the competition,and BoomCo needs to step it up if it wants to say in business. Reliable source for Nerf related news,now in India. The Terrascout rolls into the scene!